So often, organizations are interested in setting up a mentoring program, but lack the knowledge of exactly how to get started. Mentoring goes way beyond making a good match between mentor and mentoree. Success demands a wide variety of developmental experiences, a network of professional contacts and the opportunity to showcase potential. 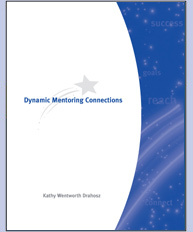 The Keys to Mentoring Success by Kathy Wentworth Drahosz provides a detailed roadmap for organizations interested in implementing their own formal mentoring program. The book details a well thought out and tested process for shaping future leaders. Dynamic Mentoring Connections is designed to build a legacy of knowledge throughout the organization. It moves the mentoring partnership from the informal to the formal. Designed for both mentors and mentorees, this workbook will guide you through the key elements of relationship building and help you create practical mentoring action plans and agreements with the templates provided. 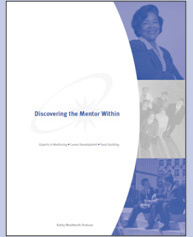 A special feature of this workbook is access to an online DISC behavioral assessment tool (and accompanying TTI Success Insights report) that will help build trust in the mentoring partnership, clarify individual work styles, how styles effect job performance and how the mentor and mentoree can work together to build on strengths and overcome weaknesses. Mentors will acquire the skills necessary to help employees seize learning opportunities in the midst of everyday events. What's more you will learn how to position yourself with a winning mix of mentoring skills and techniques to foster productive mentoring relationships. A special feature of this workbook is access to an online DISC assessment (and accompanying TTI Success Insights report) designed to help mentors adjust their communication and behavior style as well as design developmental experiences based on DISC style. 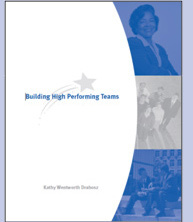 Building High Performing Teams provides a model for equipping organizations with the tools for building, motivating and leading high performing teams. The objective is to involve your employees in your mission; to make your vision their vision; to unleash their experience toward your goals. Through personalized information received from the DISC behavioral assessment tool(and accompanying TTI Success Insights report) employees have the opportunity to examine how their individual and collective skills have a significant impact on the mission. 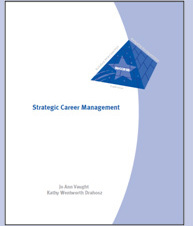 Strategic Career Management provides the framework and tools to help participants manage their professional development while increasing their contribution to the organization. With the knowledge gained from this workbook, employees willlearn how tofind their place in the organization and make a tremendous impact in their career. Based on individual responses to the DISC assessment, participants will receive a personalized TTI Success Insights report which will help pinpoint the natural behavioral strengths they bring to the job and these strengths bring value to the team.